3 Bedroom End of Terrace House For Sale in London for Asking Price £585,000. 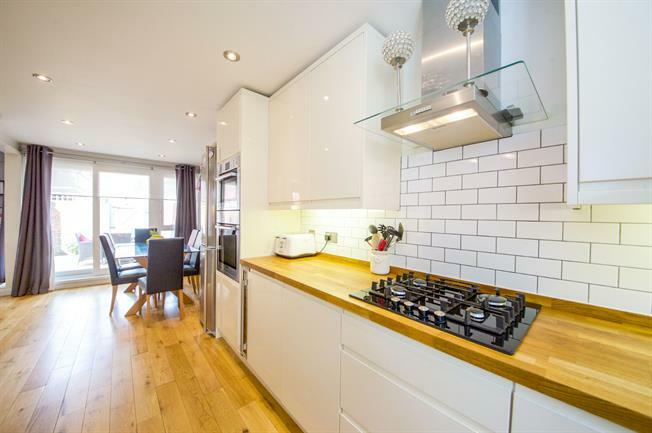 Substantially improved and renovated three double bedroom end of terrace family home situated within easy reach to Seven Sisters Road and Finsbury Park Station. The property boasts an impressive Cooke & Lewis Kitchen with fitted Bosch appliances and the bright and airy lounge is adjacent. Separate to that is the utility room and the downstairs cloakroom. The south facing garden is mainly paved patio and has the benefit of a side side gate. Upstairs the bathroom has been cleverly redesigned to accommodate a Merlin Shower with Grohe taps. Call us to find out more and make an appointment to view.